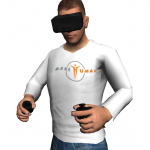 If you have bought the paid version of VR Body Movements before, either from Passer VR directly or from the Unity Asset Store you can get a $30,- discount on InstantVR Advanced. I have created a video which gives an overview of InstantVR Advanced, demonstrating its flexibility and ease of use. 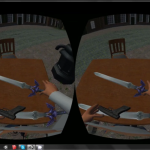 Recently, we released the VR Hands v0.3 preview. To give you a better impression of what can be done with the package we created a video for you.